If you’re like me—that is, someone who likes gangster films, but who has by no means watched all of the seminal period-pieces—then I would highly suggest checking out the classic and award-winning pseudo-gangster film, On the Waterfront (1954). Set on New York’s cruel waterfront docks, the film captures the golden-days of trade unionism and corruption years before The Wire was able to deftly portray the plight of the seafaring blue-collar working class of Baltimore. 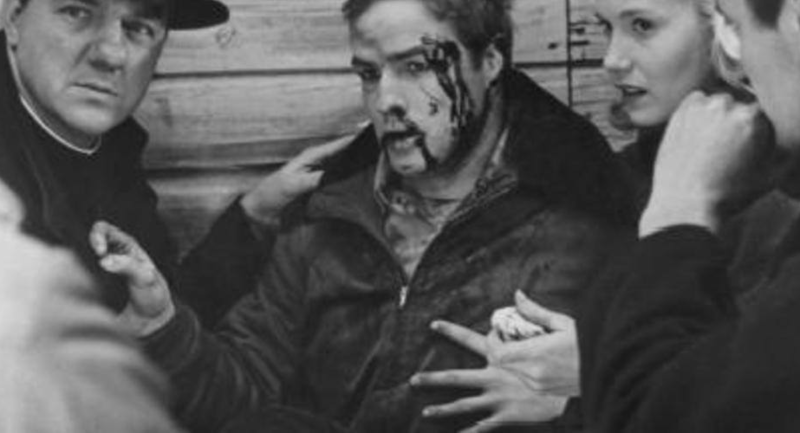 With a total of eight Academy Awards to boast of (including Best Picture and Director), On the Waterfront offers an uncompromising look at the murky politics of the trade industry in the 1950’s. The film’s main character is Terry Malloy (Marlon Brando), an ex-boxer turned pigeon-raiser who offers his services to Johnny (Lee J. Cobb), the crooked boss of the dockers’ union. The beginning of the film depicts Terry unwittingly helping Johnny to setup the death of a longshoreman who has threatened Johnny’s position of power within the union. Once Terry realizes that he has inadvertently been involved in the murder, he begins to rethink his position within Johnny’s crew. 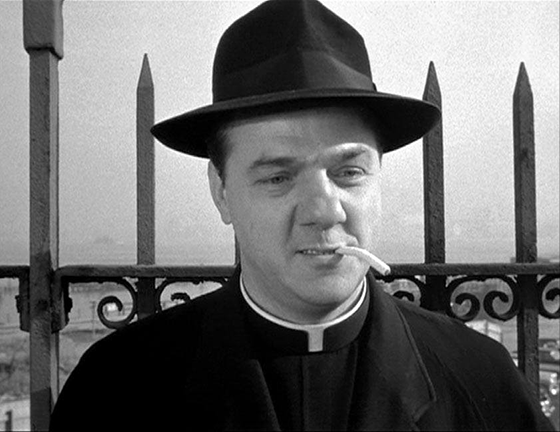 Meanwhile, the local priest—whose bulbous nose offers a film conversational piece—Father Barry (Karl Malden), tries to organize the longshoreman to speak out against the corruption around them alongside the deceased’s sister, Edie (Eva Marie Saint). Torn between his loyalties to Johnny, the unease of his conscience and his growing love of Edie, the film follows Terry’s battle with morality in the face of political and physical uncertainty. In the end, Terry is able to challenge the authority of Johnny’s gang, gaining back his own self-respect, but only after losing his brother to Johnny’s rage and getting beat to a pulp in front of the union himself. To sum up, On the Waterfront may not be the best pseudo-gangster film ever made, nor even the best of Brando’s particular brand, but it’s definitely worth a watch.